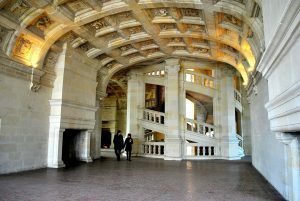 Château de Chambord is a great example of the splendor of French Renaissance architecture. This massive and popular castle was built starting in 1519 by François I, the French king at that time. You can see the former king’s, François I’s, apartments both in 17th and 18th century style. The chapel in the western wing of the castle, albeit simple in many ways, bears the marks of three different periods of construction. It took, after all, more than 30 years to complete this castle. 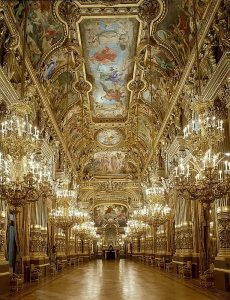 The vaulted ceilings bear the letter F and the symbol of François I. You can also explore the courtyard and the famed double-helix staircase. This staircase was based on sketches done by Leonardo da Vinci. It is very interesting because it was designed so that two people can ascend in sight of one another but without ever meeting. 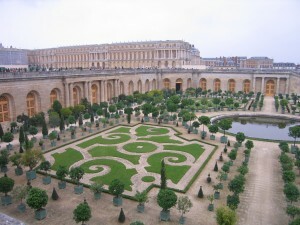 The terraces of this castle offer magnificent panoramic views of the surrounding Chambord Park. This park was a royal hunting forest and remains the largest enclosed forest in Europe. Start your visit off by walking through the courtyard and apartments. Absolutely do not miss the view from the terraces or the staircase architectural marvel. The castle also offers ways to improve your experience at the chateau. You can purchase a guidebook, audio guide, a tour with a digital tablet, or a guided tour. We highly recommend the tour with digital tablet. Then, if you please, you can visit the forest. The chateau offers 4X4 park visits or you can choose to walk along the canal. You may also rent bikes. Hours: 9am-5pm (Certain months open till 6pm see website for details). Access: By car, or by train + shuttle/taxi (Frankly this castle is not easy to access without a car, we highly recommend taking our tour instead). 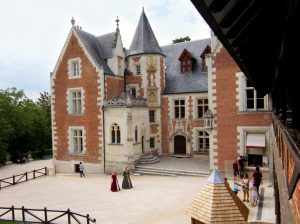 Built between 1518 and 1523 by Gilles Berthelot, which was at that time the Treasurer of the France´s Finances under the King Francis I, as well as mayor of the city of Tours; the Azay-Le-Rideau castle inspires nowadays a new method of conceiving the beginning of the french Renaissance architecture. Today, the Azay-Le-Rideau castle is owned by the Government and managed by the Centre des Monuments Nationaux. 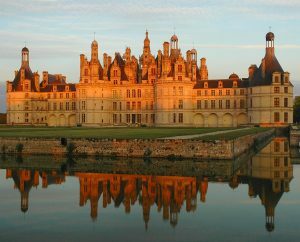 It is one of the most popular castles in the Loire Valley region. In addition, it was declared World Heritage by the UNESCO in 2000. Its structure is consolidated in the middle of the Indre river, on a small island of it. Its main fact is that the principle stair is located in the middle of the castle, being one of the first buildings to adquire this new perspective in its ages. The castle itself contains both french and italian styles. You will be able to appreciate the italianized sculptural decorations, while the windows and the roof are purely french style. 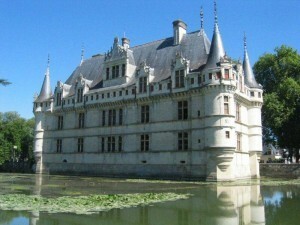 Azay-Le-Rideau is a castle that presents you the opportunity of being in front of a gem of the Renaissance. The park is not that big, but tourists are usually spending an average of 1 hour and a half in the place. There is no best way to visit it, you can start your visit either with the park or the castle itself. You can take a guided tour, which is available on site, but it is just in French language. However, you will have also the opportunity of taking an audio guide, available in English and also in French, among other languages. Want to know more about the castle? Check out more here! Prices: Adults: 6,50€. Free under 18 and under 26 with a valid EU residence card. Access: 19, rue Balzac, 37190 Azay-le-Rideau. Access only by car or guided tour. 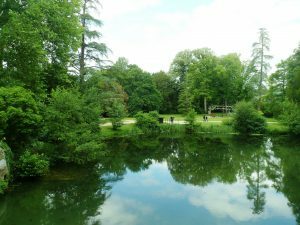 It was here, at the Château de Clos Lucé, that Leonardo lived out the last years of his life. On the invitation of the king, François I, Leonardo trekked through the Alps with some of his famous masterpieces (including his Mona Lisa), to reach this castle. Visit the rooms of the castle and imagine Leonardo da Vinci himself working and living there. See his bedchamber and workshop. There are also four visitor rooms in the basement which provide information on Leonardo the engineer. 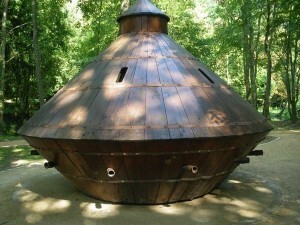 You can also see Leonardo’s garden, an open-air museum. This has been the result of 2 years of research collecting all of Leonardo da Vinci’s work on nature. Also visit the Park Leonardo da Vinci where you’ll find full-sized models of some of his creations. For example, you can see and interact with the paddle boat, the revolving bridge, the assault chariot and more. The Clos Lucé Castle is located one hour from Paris by fast train (TGV) or two hours roughly by car. 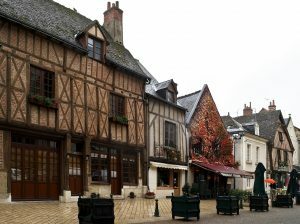 It is located in the town of Amboise. Take your time to explore the different rooms of the castle as well as the surrounding gardens. Here you can learn a lot about the history of the castle and about Leonardo da Vinci. 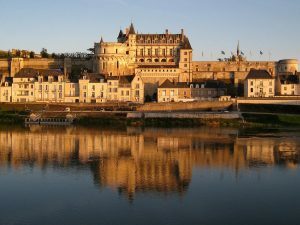 You can complement your visit with a tour of the Castle of Amboise, which is the burial place of Leonardo da Vinci and is located only a few meters away.